Shopping for Breakfast at Tiffanys Signs? One of Hollywood's most iconic movie posters! 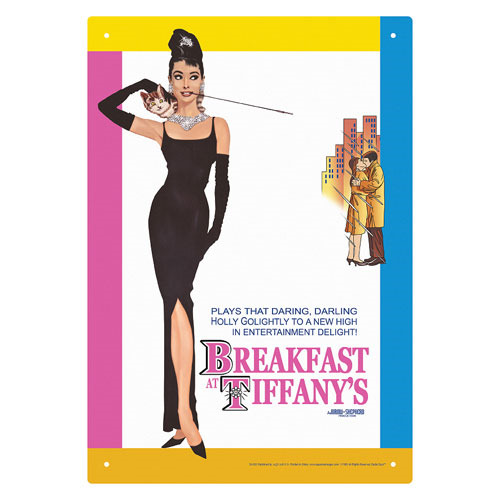 Featuring the lovely Audrey Hepburn from Breakfast at Tiffany's, the Breakfast at Tiffany's Breakfast Tin Sign measures approximately 8-inches x 11 1/2-inches. Ages 14 and up.